As he presses a revolver to his head, Reece Cole sees his little daughter’s handprints on the windowpane. One last, painful reminder of her all too short life. But then he notices something about the handprints that defies belief. Something that verges on the impossible. He spends the next few days frantically trying to make sense of what is happening. Then a stranger stops at his gate with a small grey envelope. Inside is a single white card, inscribed with six breathtaking words: I can bring your daughter back. Visit Gareth Crocker’s website, find him on Facebook or follow him on Twitter. Watch the book trailer of Gareth Crocker's latest novel Never Let Go. 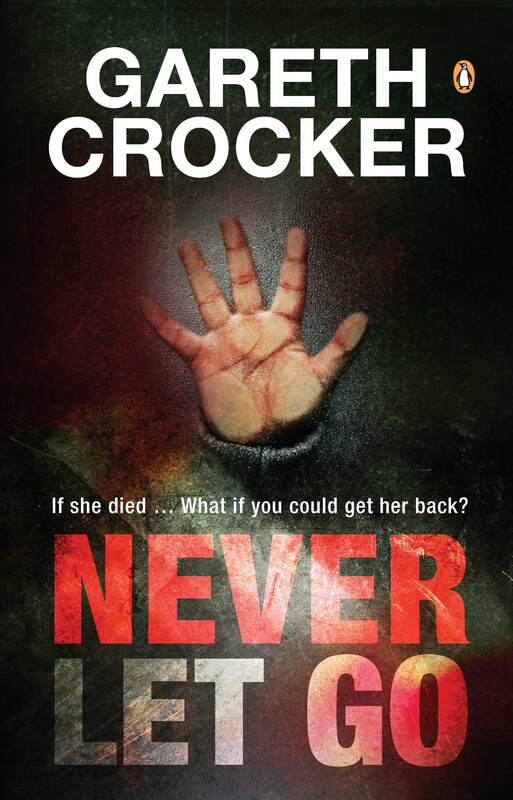 Watch Gareth Crocker as he reads an extract from Never Let Go, and gives readers an insight into his world or read an extract here. Download the Never Let Go reading guide. Gareth Crocker’s debut novel, Finding Jack, was published in New York to international acclaim. It was translated into several languages and featured in eight volumes of Reader’s Digest Select Editions. In 2012 Penguin Books published his adventure novel, Journey from Darkness, followed by the thriller Never Let Go in 2013, and then King, his fourth novel. Gareth lives in Johannesburg with his wife and two daughters.